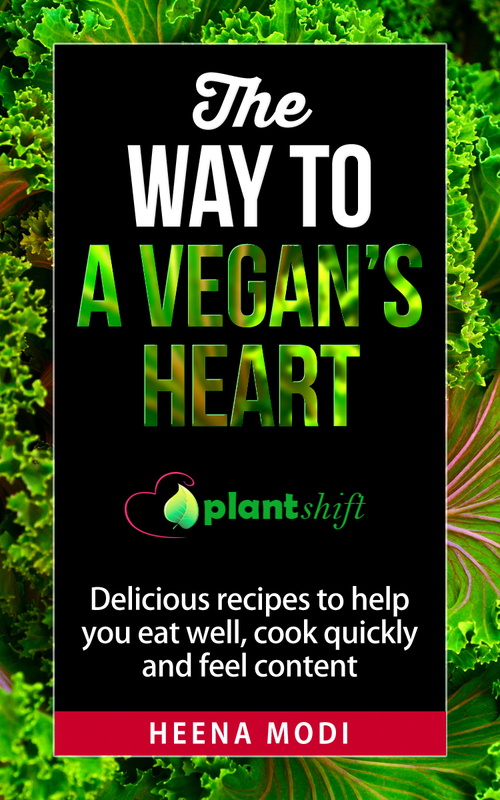 I created and launched an eBook, called The Way to a Vegan’s Heart: Delicious Recipes to Help You Eat Well, Cook Quickly and Feel Content. For those of you who are vegan or interested in cooking vegan meals for yourself, or vegan friends and family; this book has lots of quick and easy recipes, that will impress! I have heard many people say that they wouldn’t know where to begin if they went vegan, or that they find cooking a challenge, or that they aren’t creative enough to veganise recipes that they already know. I firmly believe that food shouldn’t be a barrier to going vegan or staying vegan and I want this recipe book, to make cooking and eating, vegan food simple, fast and enjoyable. For this reason, the majority of the recipes take less than half an hour to make, without skimping on flavour! Download Plant Shift’s e-book by Heena R Modi. It is cheaper then a latte, sandwich, or plate of pani puri, but worth every penny and so much more with the collection of numerous quick & easy-to-make vegan meals made in 30mins or less. 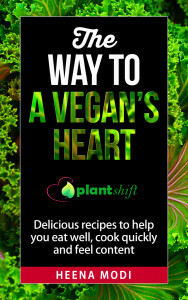 This is a great addition to the library of vegan recipe books. Heena has put together a good range of mainly simple dishes which are rich in flavours and contain lots of twists on some old favourites. I’m looking forward to experimenting with them in the coming months! Where can you buy The Way to a Vegan’s Heart from?